CohnReznick’s Annual Affordable Housing Conference brings together the leading developers (not-for-profit and for-profit), investors, and agencies/housing authorities active in providing affordable housing throughout the country. The convening will showcase and educate attendees on successful projects that expand beyond the traditional housing model through tax credit financing. Innovative connections, such as with healthcare, can help strengthen and uplift housing efforts. It is within that spirit of new opportunities that this year’s conference will focus. Primary areas of discussion will include the intersection of housing and healthcare including the success it is having when developers partner with hospitals and healthcare providers. The successes of supportive services, such as education in addition to healthcare, will be highlighted in addition to other business aspects developers and investors are facing in affordable housing, the LIHTC program, and the future of housing in America. Register by August 11 for discounted registration! Use the code: EARLYBIRDAH2017. CohnReznick’s 2017 Annual Affordable Housing Summit will be held September 6-8 at The Mandarin Oriental, located on the Las Vegas strip. There is a room block for the conference starting Tuesday, September 5, 2017. Please call 702-590-8881 to book early and reserve your room! 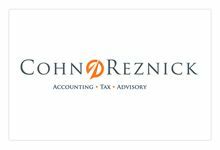 Be sure to mention the CohnReznick Annual Affordable Housing Conference. The District of Columbia Department of Energy & Environment (DOEE) is offering a grant designed to fund a tool to assess the vulnerability of the District’s affordable housing stock to climate change and to identify possible resilience upgrades, including the installation of solar technologies and energy storage, to help meet the goals set out in the Mayor’s Climate Ready DC Plan and the Solar for All program. The tool will incorporate resilience into a traditional energy audit and/or green physical needs assessment. The deadline for applications is August 28, 2017. The total funding available is $250,000. The full Request for Applications and instructions on how to apply are available here. An informational conference call and opportunity for questions and answers will be held on August 16, 2017 at 1:00pm. The call number is 866-738-0635 and conference code is 7488157. Additional questions for this RFA may be sent to greenbuildingrfa.grants@dc.gov. The current round for Maryland Affordable Housing Trust Grant Awards opened on July 1 and runs to August 31. Funds are awarded as loans or grants based upon the financial structure needed to make the project viable. Although MAHT reserves the right to make its funding available as interest­ bearing loans, funding for project-specific capacity building, operating expenses, and support services are generally made as grants. Funding for pre-development costs is generally repayable upon the closing of permanent financing for a project. 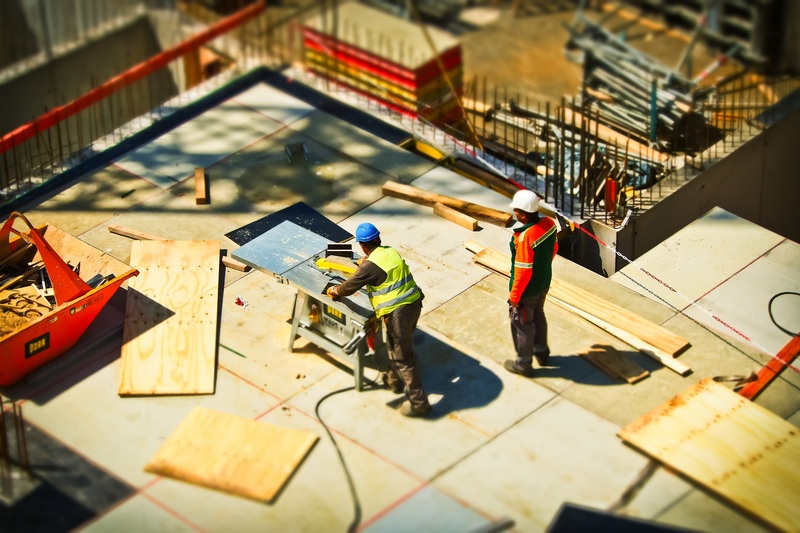 Funding for capital costs is offered as deferred-payment loans or recoverable grants payable if the project is sold and/or ceases to be used for low-income occupancy. MAHT allocates up to 15% of its funds for capacity building and pre-development costs, with the balance allocated for capital costs and operating and supportive services. The maximum award amount is $75,000. The Board of Trustees determines whether funds are to be awarded as loans or grants based upon a financial analysis of the project. Click here for the grant application and here for the program guidelines. If you are a first-time home buyer, you could be eligible for up to $10,000 in down payment and closing cost toward the purchase of your first home! 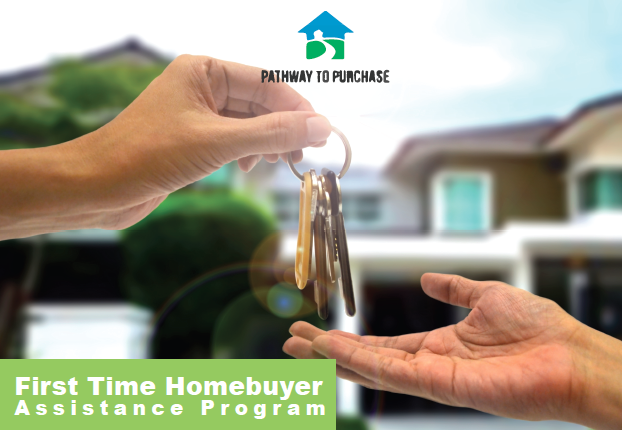 The Pathway to Purchase Home Buyers Assistance Program is offered by Prince George’s County Department of Housing and Community Development. Check out more details here! 0 Comments/in Uncategorized, HAND News, Opportunities /by H.A.N.D. It’s that time of year again! 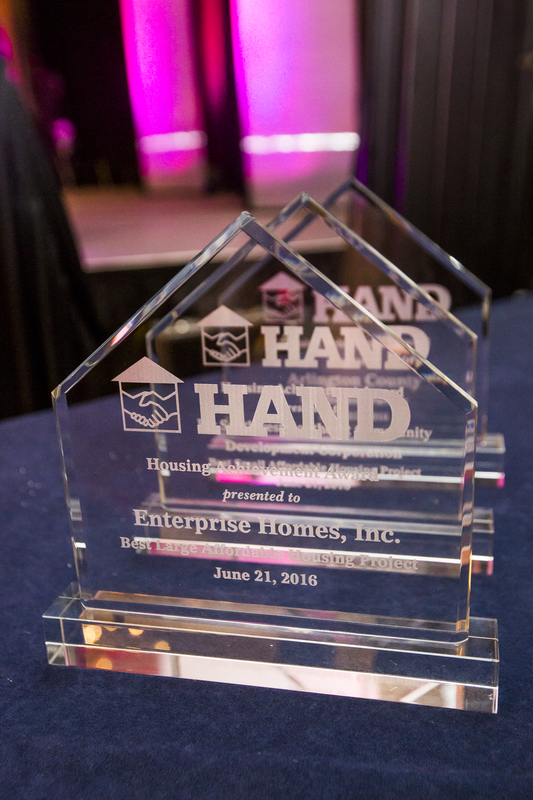 At the 26th Annual Meeting of the Housing Association of Nonprofit Developers (HAND), awards will be presented to organizations and individuals that have provided outstanding affordable housing projects, programs, and support for low- and moderate-income citizens of the greater Washington, D.C. metro area during 2016. All awards are open to HAND member projects and programs located in the Washington, D.C. metropolitan area. The purpose of the awards remains to recognize creative, innovative approaches in the industry, which result in quality developments and programs. 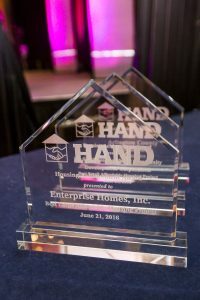 The winner in each category will receive a complimentary table of 10 and exhibit booth at the Annual Meeting & Housing Expo taking place on June 20, 2017 at the Omni Shoreham Hotel in Washington, DC. Additionally, winners will receive a glass award and promotion in event marketing materials and press coordinated for the event. Applications must be submitted online via the form below. However, you can view and print a PDF version of the application and guidelines here.The deadline to apply is Close of Business on Friday, April 7, 2017. APPLICATIONS RECEIVED AFTER THE DEADLINE WILL NOT BE ACCEPTED. Please contact Courtney Battle at 202.384.3764 or cbattle@handhousing.org with questions. Rachel Reilly Caroll discusses the Our Region, Your Investment initiative with guests. Last week HAND hosted “The Power of Impact Investing” in partnership with WRAG and Enterprise Community Loan Fund. The session allowed guests to learn more about impact investing generally, the Our Region, Your Investment initiative specifically, as well as why investors are choosing to support housing affordability in this way. Featured speakers included James Wahls of the Annie E. Casey Foundation, Rachel Reilly Carroll of the Enterprise Community Loan Fund and Karen FitzGerald of the Meyer Foundation. Additional materials from the session can be found here. The Maryland Department of Housing and Community Development has partnered with Wicomico County to launch a new homeownership initiative through the Maryland Mortgage program. Maryland NewBuild will provide incentives to homebuyers purchasing newly constructed homes in the county, including reduced interest rates on Maryland Mortgage loans. The initiative will be available to Wicomico County homebuyers for one year, running until December 1, 2017. A waiver from Wicomico County for the impact fees associated with the newly-constructed single family homes. The Hogan Administration recently announced the first home purchase under a new homeownership initiative designed to ease the burden of student debt. 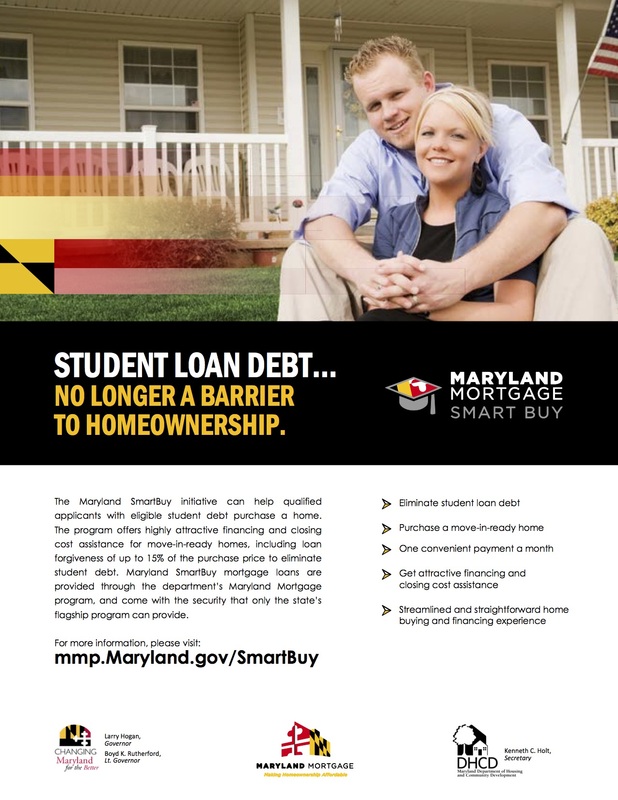 According to a press release, Maryland SmartBuy, within the Department of Housing and Community Development (DHCD), is the first program of its kind in the country and will make move-in-ready homes available to buyers while eliminating student loan debt burden, which is often a significant barrier to homeownership for younger homebuyers. To learn more about the initiative, click here. With $80,000 soon to be available to first time DC homeowners, and funding for first time Maryland homeowners, it’s time to consider buying a house in the DC Metro area! 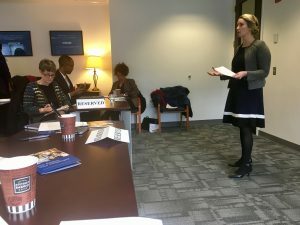 United Planning Organization provides education about the homebuying process plus one-on-one consultations with HUD certified housing counselors. UPO will host a homebuyer’s workshop on Saturday November 19, 2016 from 9:00 AM – 5:00 PM, at the Petey Greene Community Center, 2907 Martin Luther King Jr Ave SE, Washington, DC 20032. The workshop is open to anyone interested in purchasing a house. Our housing counselors will schedule one-on-one counseling for interested homebuyers in the months following the workshop to get them mortgage ready. The next workshop is not until March 2017, so spread the word! You can RSVP by calling 202-562-3800. Breakfast and lunch will be provided. 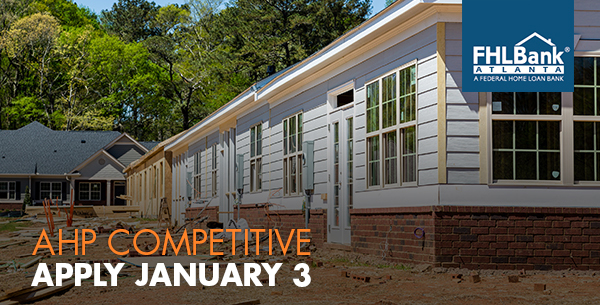 Federal Home Loan Bank of Atlanta (FHLBank Atlanta) recently announced that its 2017 Affordable Housing Program (AHP) Competitive round will open on January 3, 2017. Up to $500,000 will be awarded per project to its member financial institutions and their community housing partners through a competitive application process. The deadline for submitting applications is February 2, 2017. FHLBank Atlanta AHP Competitive funds can be used to help finance the acquisition, construction, rehabilitation, and development of affordable rental and ownership housing. AHP Competitive is a unique product offering that can help financing institutions reach new customers and borrowers, achieve business development and community lending goals, and facilitate economic development. Potential applicants should work with an FHLBank Atlanta member financial institution to complete the AHP Competitive application. Nonprofit, for-profit, and local government sponsors should review the AHP Implementation Plan for updates to application guidelines and requirements. To learn more about submitting an AHP application, register for a webinar through the Bank’s events calendar. If you need assistance finding a member financial institution to work with, or for more information, call the Bank’s Community Investment Services department at 1.800.536.9650, option 3, option 0.